"The essence of acting is the conveyance of truth through the medium of the actor's mind and person. The science of acting deals with the perfecting of that medium." 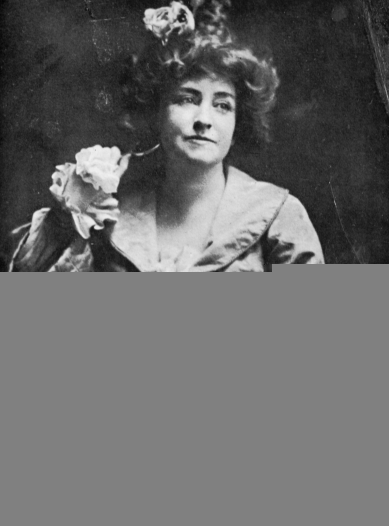 Fiske, Minnie Maddern (nėe Marie Augusta Davey) (1864-1932) American actress, playwright and director. She was born in New Orleans into a theatrical family. Her father was Thomas Davey, manager of the St. Charles Theatre in that city and her mother was Lizzie Maddern, an actress. 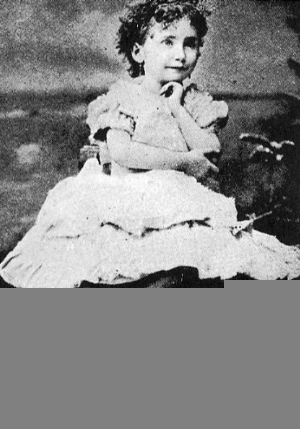 She began her stage career at the age of three. 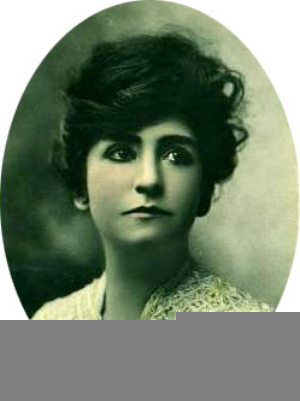 As a child actress she was in much demand, and played under her mother’s name as "Little Minnie Maddern". She made her New York debut on May 30, 1870 in A Sheep in Wolf’s Clothing and played several roles in other productions including Little Eva in Uncle Tom’s Cabin. Nearly a decade of touring followed in which she played among other parts Prince Arthur in John McCullough’s production of King John. By 1882 at age 18 when she returned to New York in Charles Callahan’s Fogg’s Ferry, she was universally applauded as an ingenue. 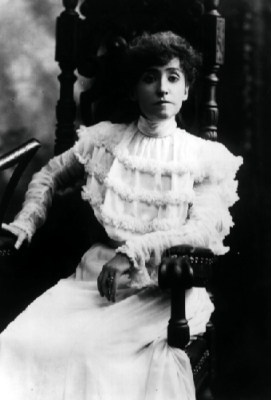 In 1890 after a brief unsuccessful marriage, she married her second husband the drama critic, producer, manager and playwright Harrison Grey Fiske who was at the time the editor of the New York Dramatic Mirror. After her marriage she retired from the stage for four years and it was during this interlude that she wrote several one-act plays one of which Countess Roudine was later mounted by Modjeska. 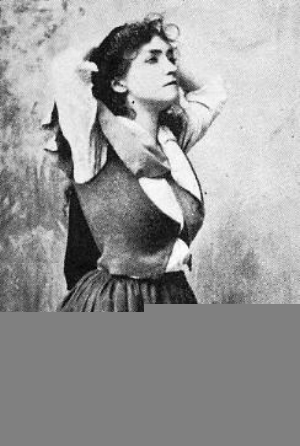 By 1893 the lure of the footlights proved too great and she returned to the stage in her husband’s Hester Crewe, an Ibsen-like play that was a quick failure. Mrs. Fiske’s era was one of great change and she contributed greatly to this. The emotionally charged melodramas and fluffy social comedies were replaced with psychological drama, gaslights gave way to electricity and Realism replaced Romanticism in set and costume design. She focused her energy on what she called "natural, true acting" and was responsible for bringing the plays of several European playwrights including Ibsen & Strindberg to American audiences. 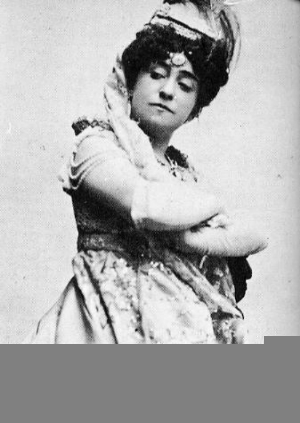 At the turn of the century she was influential in combating the destructive monopoly of the Theatrical Syndicate and became a noted humanitarian, fighting against cruelty to animals. She distained the "star"system and insisted on careful casting to form the perfect ensemble where every member of the company took responsibility for the unified whole of the production. 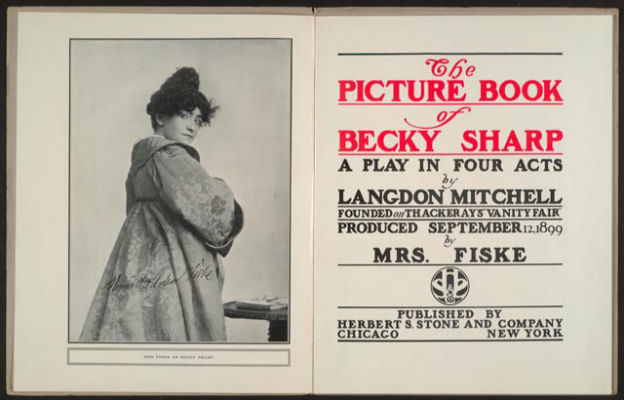 Her greatest successes during this period were Nora in A Doll’s House, Tess of the D’Ubervilles , Langdon Mitchell’s Becky Sharp and in 1903 Hedda Gabler in the Fiske’s newly bought & renovated Manhattan Theatre. Unfortunately the cost of maintaining the Manhattan proved too much and they lost the house. 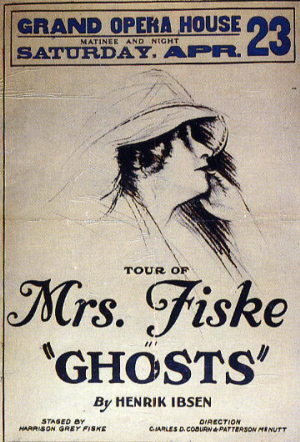 Over the next several years Mrs. Fiske appeared in a series of weak plays, but had a renaissance towards the end of her career when she appeared in several superb revivals including Mrs. Malaprop in The Rivals (1925), Mrs. Alving in Ghosts (1927) and Mistress Page in The Merry Wives of Windsor (1928). 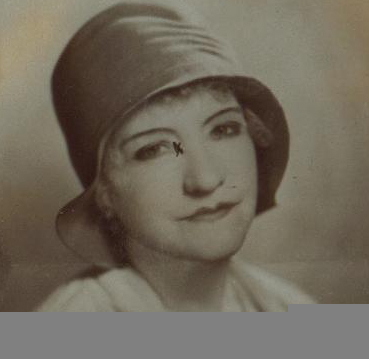 Her last appearance was as Mrs. Tyler in It’s A Grand Life (1930).